partners share an appreciation for luxury goods and a signature ability to design and produce at the very highest level. Andrew Morgan, President and CEO of Pickard China, commented, "we were absolutely elated to have worked out an an agreement with Lauren Harper to design new patterns for Pickard. Lauren's inspiration and use of gem stones and organics has created the beautiful, must have, Sedona pattern which has a youth flare." This collaboration is expected to bring a bring a whole new dimension to Pickard China and its customers. Lauren Harper has been designing unforgettable fine jewelry for 18 years. She draws on art history, architecture, period fashion, and travel for creative inspiration. She believes her ability to interpret the tiniest unearthed details in the world are what give her a design edge. Her Jewelry collections have won numerous awards including 2 first place Couture Design Awards. Lauren has recently broadened her creative horizons with her new dinnerware collaboration with Pickard China. Lauren notes, "I am thrilled to be collaborating with the esteemed Pickard China, in a new line of fine dinnerware, steeped with gemstone and jewel notes. My first collection, which I named “Sedona”, was inspired by the rich patterns in the natural stone Malachite. 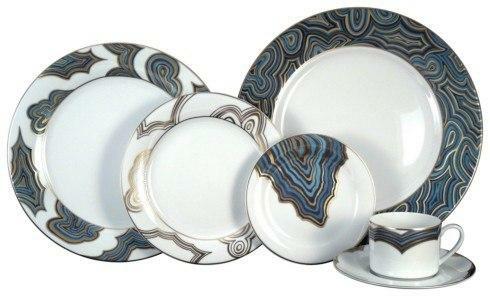 The Sedona pattern will add glamour and style to the table."